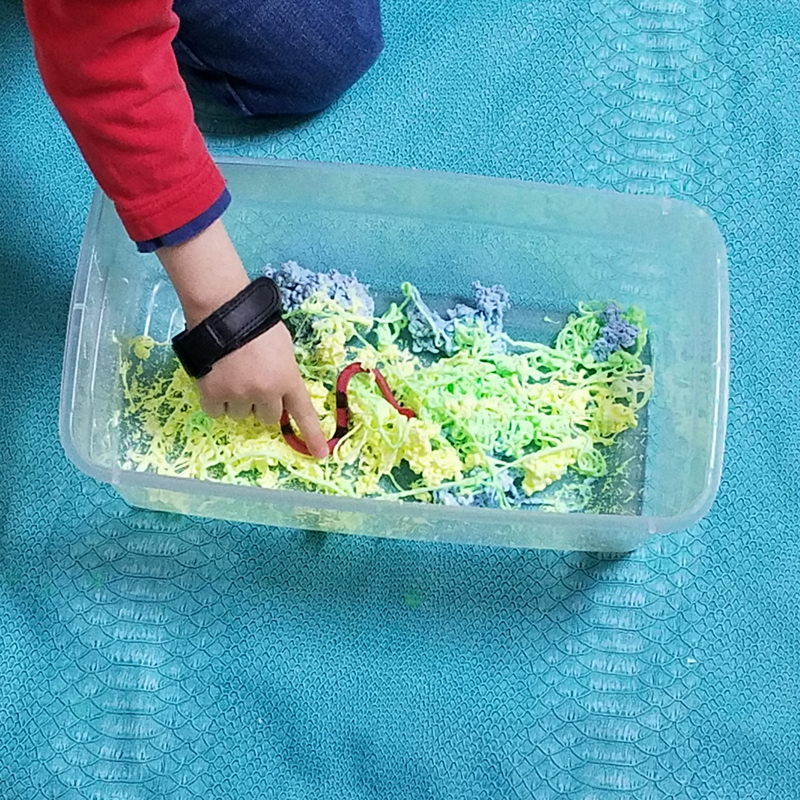 I created this slippery slimy snake sensory bin for M (3 years old) after a dollar store spree with one goal in mind: come up with anything – ANYTHING! that will productively occupy him (read: save my sanity) during winter break. And that’s when I hit on this crazy idea… Disclosure: this post contains affiliate links. Y’know, that awful prank stuff that was created to annoy people? There had to be a better purpose for it. 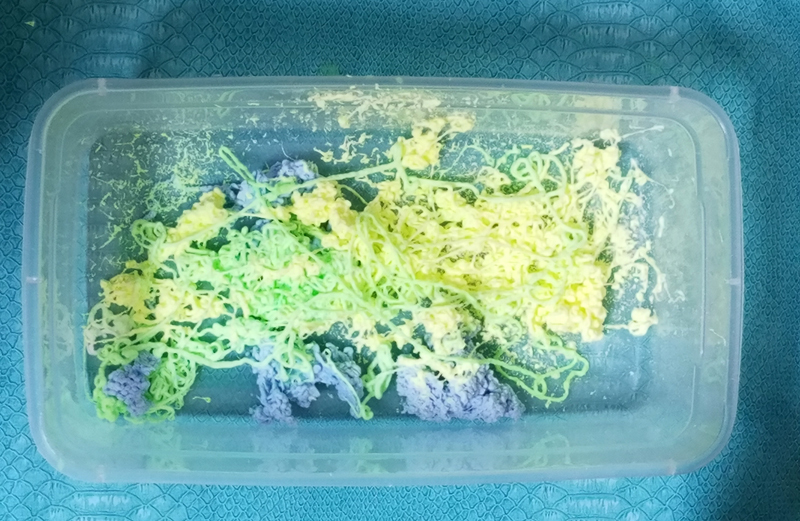 So, I grabbed a few cans with the intention of creating the most epic silly string loaded sensory bin that the preschool world has ever seen. 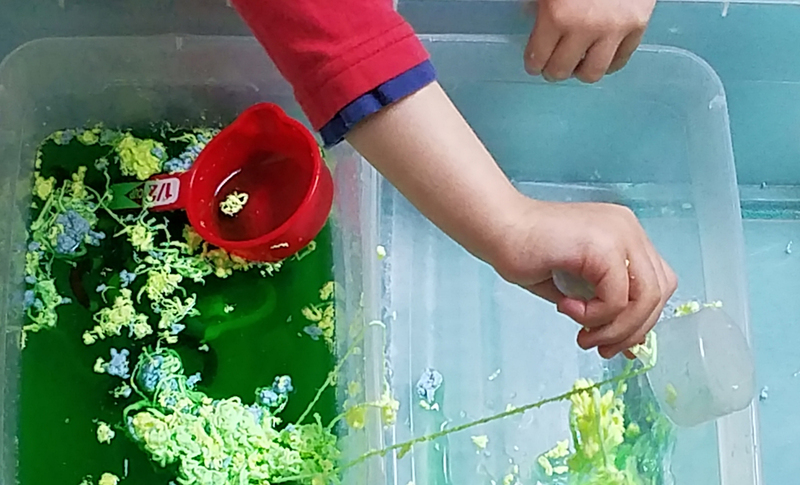 So really all we needed to do was allow this sensory activity to evolve, and wing it. 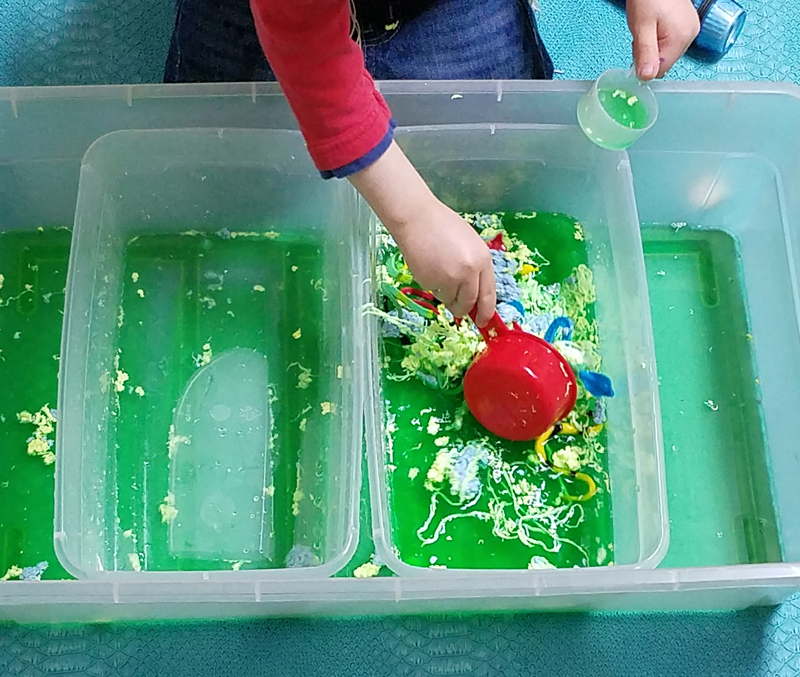 The silly string ended up swimming in swampy green water and this snake sensory bin was a winter-break winner. So now that summer break is almost here, might as well share it with you. 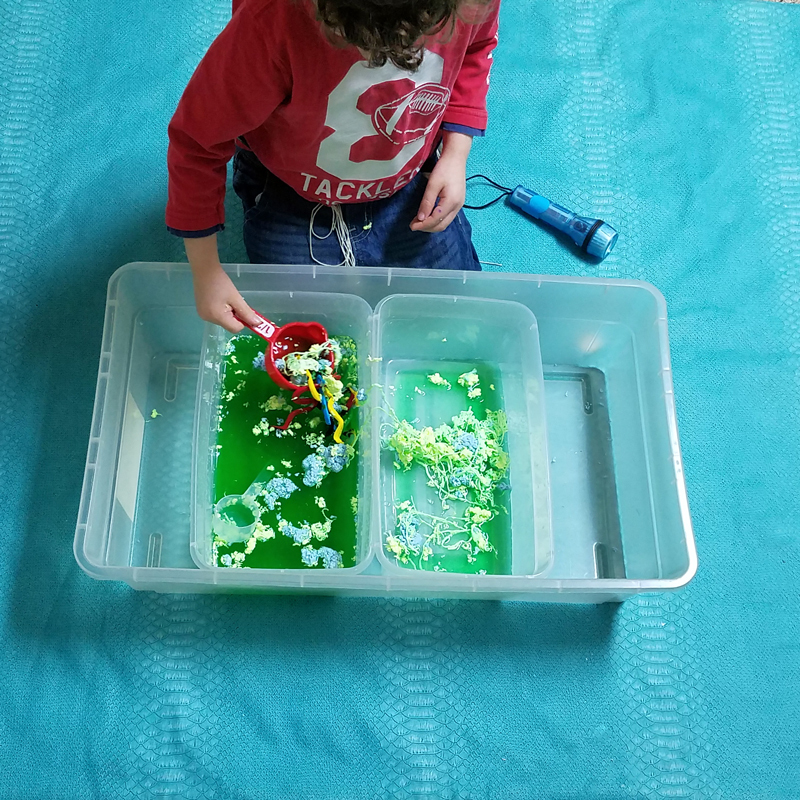 A bin – we started with a shoe box sized storage container then expanded to two of those, placed inside an under bed box for pouring and transferring purposes. FYI a baby bath that’s no longer needed works too – just make sure that the plug is, well, plugged…. The main thing is, let your child lead! Be open to possibilities! 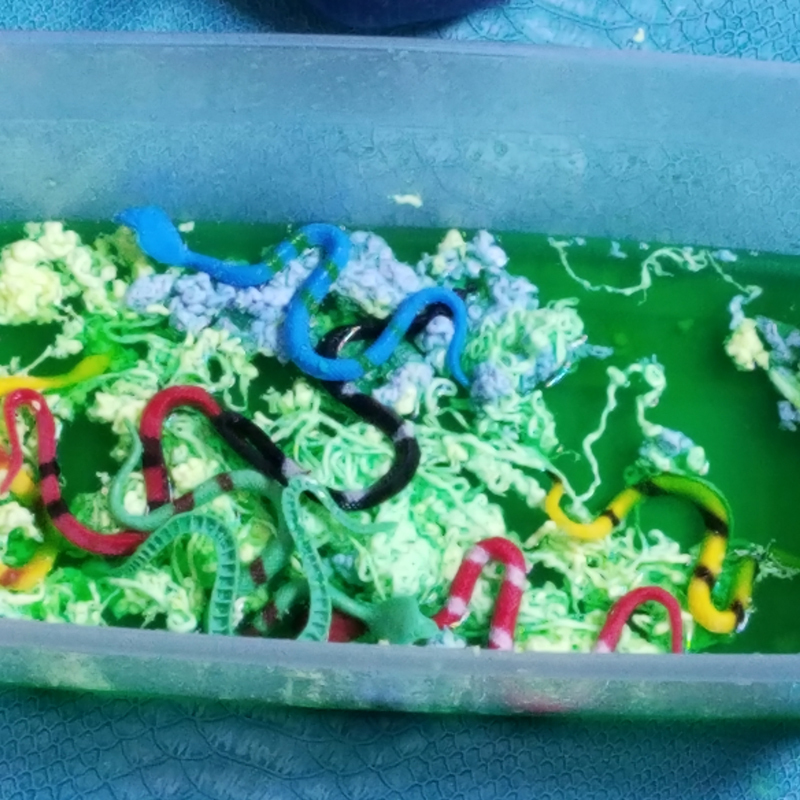 Toss in some plastic snakes. 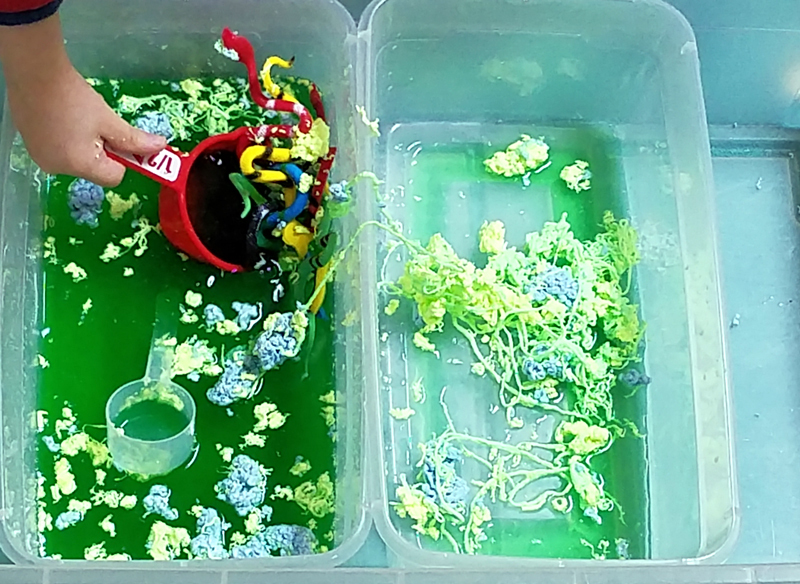 Add some gross green water. 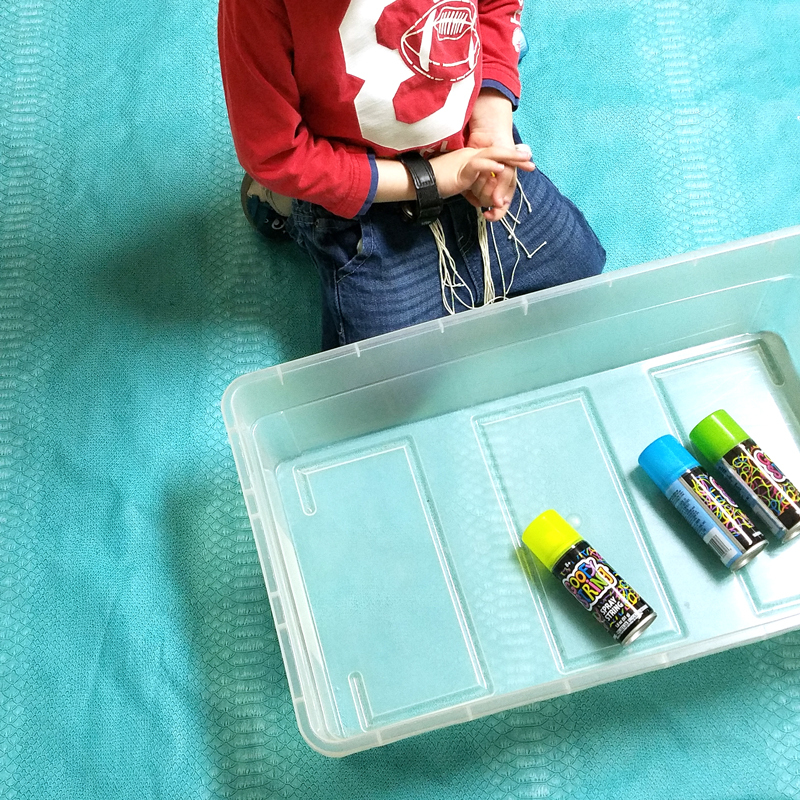 Place it alongside another storage container into a larger container. Scoop, play, squish and enjoy! 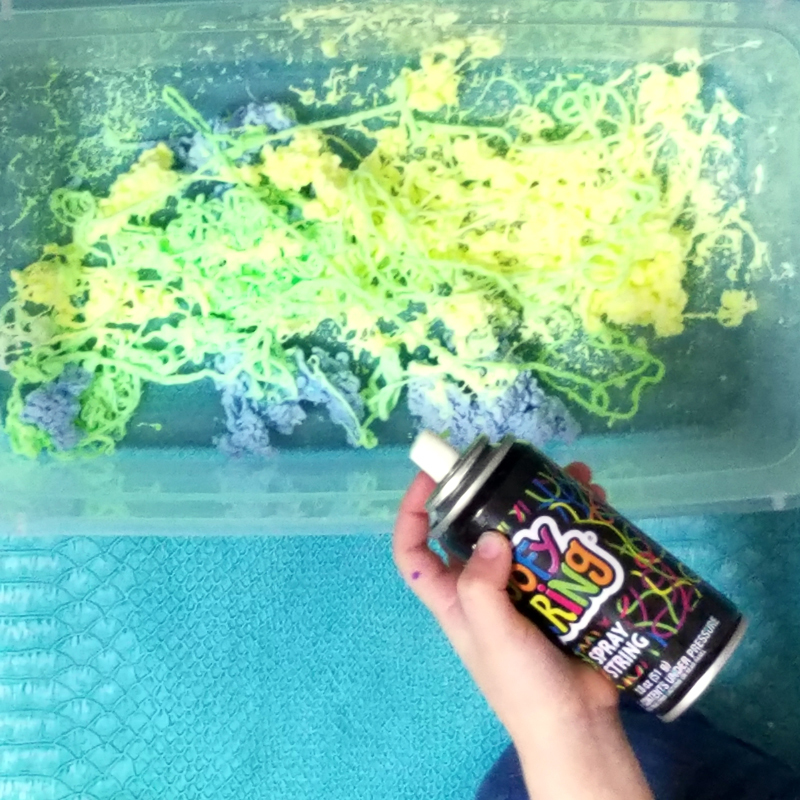 FYI I’d venture to say that silly string is likely pretty toxic, so obviously use common sense, supervision, and only do this with a child who definitely won’t drink it. 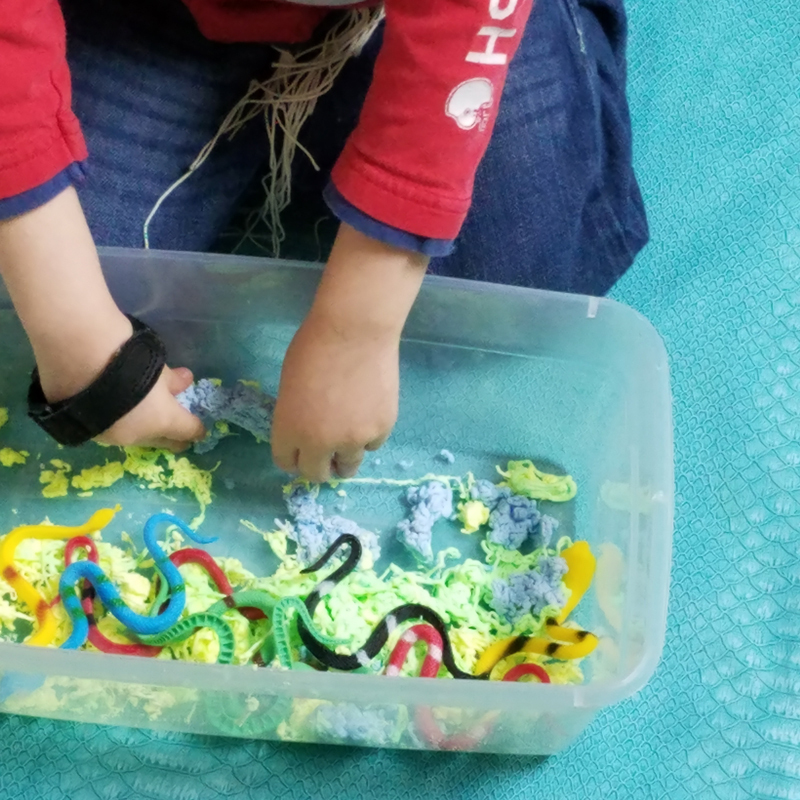 Entertain the Kids, Family Fun Ideas, Preschoolers. Bookmark. Discovery Bottles – What’s your favorite color?